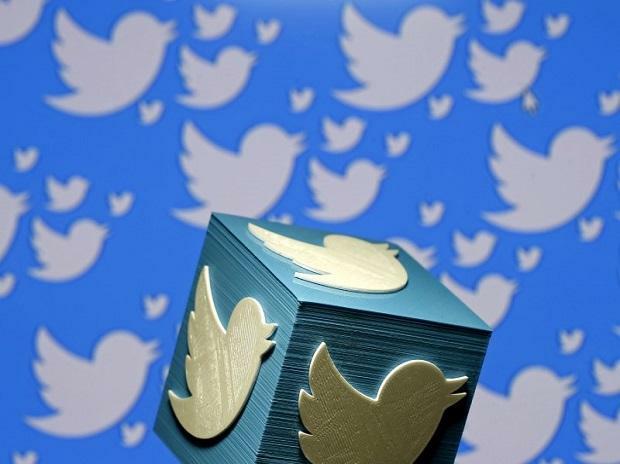 In an attempt to bring transparency in political advertisements ahead of general election in India, Twitter Thursday said it will provide a new dashboard showing such expenditures by political parties on its platform. The US-based company is also engaging with various stakeholders, including Election Commission of India (ECI), to verify candidates as well as train parties and election officials on using Twitter and teach them how to report suspicious, abusive, and rule-violating activity to Twitter. "We are going to implement here in India something that we started this past election in the US, which is an advertising dashboard that provides transparency to the public so that users can take a look at spending on the platform during the course of the election," Twitter Global Vice President (Public Policy) Colin Crowell said. He added that the tool -- Ads Transparency Centre -- will be made available over the course of next several weeks as the company is working on finer details of the features that will be offered in India. With elections slated to be held in the coming months, the Indian government has taken a tough stance on the issue and warned social media platforms of strong action if any attempt was made to influence the country's electoral process through undesirable means. It has recently also proposed to amend IT rules, wherein social media platforms and messaging apps will be required to deploy tools to "identify" and curb unlawful content as well as follow stricter due diligence practices. The IT ministry is seeking feedback from the public on the draft amendments before taking a final decision. Crowell explained that the intent of bringing its Ads Transparency Centre to India to provide information around who the advertiser is, the content that is being promoted, how much is being spent on the ad and whether the ad is running nationwide or in a particular geography. "... because this is informative to users and to the larger conversation around how the election is playing out, (we can) be more transparent with people who use Twitter about what's happening on the platform, what's organic and what's promoted (tweet)," he said. In the US, Twitter had tested election labels on some candidates, where clicking on the label would provide users additional information about the candidate that was furnished by a third-party. Mahima Kaul, Director (Public Policy) for Twitter India, said in the Indian market, the company would get information on candidates from political parties to ensure that the information is coming from a trusted source. "We look forward to continuing discussions with the EC of India as we move towards the 2019 Lok Sabha, and to supporting the EC as they seek to have a more proactive voice in the digital space, including on Twitter," she added. Twitter collaborates with national election officials around the world, including the Election Commission of India, to ensure advertising by political parties on the platform is transparent. Twitter said in addition to its Ads policies, all political advertisers must comply with applicable laws regarding disclosure and content requirements, eligibility restrictions, and blackout dates for the locations where they advertise. For advertising by political parties and candidates in India, Kaul said Twitter will ensure that all parties that want to advertise with Twitter have a certification by the Election Commission. Besides, Twitter is also engaging with various political parties and candidates for verified accounts. "We will be doing training on Twitter rules, preparatory sessions... we're also engaging with some civil society organisations and NGOs (around voter education)," Crowell said. Twitter which counts India among its priority markets already has a large number of politicians in the country on its platform, who engage with residents and extensively use it around elections. Twitter has introduced a new initiative '#ChaupalOnTwitter' to encourage more civic discussion and participation between communities and their leaders through the microblogging platform. Another initiative called '#PowerOf18' aims to encourage Indian youth to contribute to public debate and participate in civic engagement ahead of the upcoming elections. On the proposed amendment in IT rules for intermediaries, Crowell said a "carefully crafted balance" needs to be struck between ensuring safety and security of users and steps that could impact free expression.